For the last 2 years the SDA Elite Invitational Camp has gathered some of the top youth basketball players in the country to compete, develop their games and get their games noticed. Year on year some of the most promising youth basketball players (aged 15 -18) came to receive top coaching and elite-level competition from the intense SDA Invitational Camp structure. 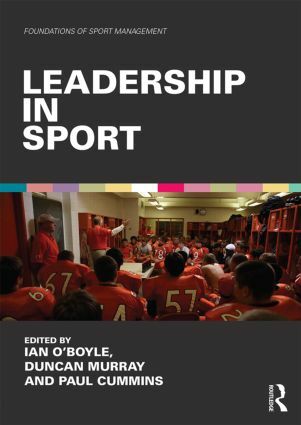 There have been a number of SDA athlete success stories since SDA began, including Scottish athlete Ali McKay who earned a scholarship to Davidson College (North Carolina, USA) and Irish athlete John Carroll who first went to prep school (the Hill School) and then was connected through SDA with Hartford University who gave him a full scholarship to play and study in Connecticut. A recent success story is Kerry native Cian Sullivan who has attended the SDA Elite Invitational Camp the last 2 years in a row. “When Cian first came to camp in 2014, he was extremely raw, physically weak and had a low basketball IQ through lack of experience and coaching, but he had the intangibles in size (7 feet) and fluid movement” – Pete Schwethelm (SDA Coach and Former NCAA D1 Coach). But through hard work both on and off the court is the clear how much Cian has developed in the last 2 years. At camp, even though he was out-matched at times he always put in the effort, gave 100% and was willing to not only listen, but put into practice what he was coached to do. “I couldn’t believe the improvement Cian made when I saw him compete at the 2015 SDA Invitational… his touch had improved, he was physically stronger and he was a leader both vocally and through his actions on the court” – Paul Cummins (SDA Founder). Cian had a very good school and club run this year and was recently offered a scholarship to play at St. Andrews prep school in Rhode Island USA. “It is a dream come true, and I am focused on both basketball and academics. 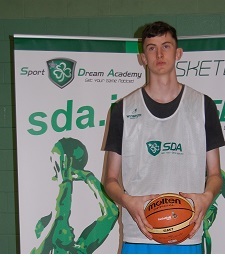 I would like to thank SDA and especially Coach Pete for all they have done for my athletic and personal development” – Cian Sullivan. One of the unique features of SDA is the provision of personal highlight film on each player at camp. These individual highlights are then circulated to coaches globally and available to view on the SDA YouTube channel. This feature was hugely important in allowing Cian be seen by coaches, and it is designed to get talented Irish players noticed. Cian’s father John has been very happy with the support and information SDA has provided through its camp structure. “Paul and the coaching staff provide real information and practical tips when it comes to the whole scholarship process. They explain how difficult it is, and how important it is to focus on academics. SDA has been a huge help to Cian over the last 2 years” – John Sullivan (Cian’s father). “Cian is one of my favourite athletes to ever coach, and I think the sky is the limit if he continues to work hard and develop his game every day” says Pete Schwethelm. SDA would like to congratulate Cian on earning a scholarship to prep school through hard work and practice. SDA has already begun to assist in exposing Cian to colleges to help ensure that another scholarship is just around the corner.